Description: The approaches to an estimation of efficiency of projects and programs which realization is directed to maintenance of the basic directions of vital activity of the state by the example of projects of the Nation-wide space program of Ukraine are offered. Druzhinin, E.A., Bek, V.A. and Tsikhmistro, I.N. 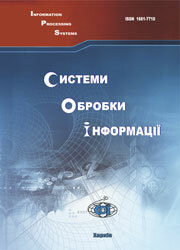 (2002), “Osnovnye podkhody k otsenke effektivnosti nekommercheskikh proektov”, Information Processing Systems, Vol. 6(22), pp. 299-306.